They wore neon-colored T-shirts, sold concert gear and cleaned up the messes left by others. Their faces often went unnoticed. They’re the undocumented workers who survived the October 1 shooting on the Las Vegas Strip, and they’re now seeking stability and peace. 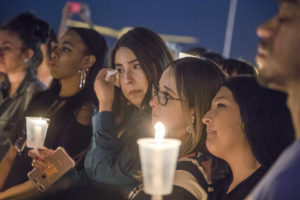 “It is something that many people lived through, and many of us are the people who have been forgotten,” Marta Duran, one of these workers, told The Nevada Independent in Spanish last Wednesday. 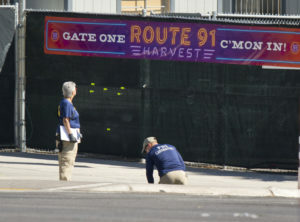 Six months after the shooting at the Route 91 Harvest Music Festival in Las Vegas, several immigrant workers who survived that tragic evening met last week with North Las Vegas Councilman Isaac Barron to share their experiences in hopes of obtaining support from the police so that their requests for a so-called U visa will move forward with immigration authorities. A USCIS report showed that in fiscal year 2017, under the category of victims of criminal activities, the agency received a total of 36,531 U Visa requests. Of those, 10,031 were approved, 2,128 were denied and 110,511 applications, both old and new, were awaiting a decision by the end of the fiscal year. The agency offers a maximum of 10,000 visas per fiscal year for qualified victims of certain crimes. 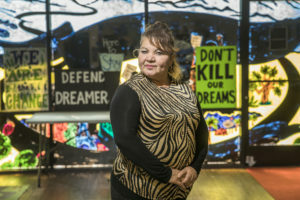 Immigration experts have said that because of the Trump administration’s recent decisions to roll back the Deferred Action for Childhood Arrivals (DACA) and the Temporary Protected Status (TPS) programs, the U visa could be one of the few options that allows beneficiaries of these programs to stay in the country. Undocumented immigrants represented 10.4 percent of Nevada’s workforce in 2014. A few days after the shooting on the Strip and after a call from a person who was looking for assistance in Spanish for a survivor of the shooting, BBS Counseling — one of the few Latino groups that is offering bilingual counseling in Las Vegas — joined forces with other groups to support victims, survivors and workers of the Oct. 1 massacre. The groups also advised victims to determine if they qualified for aid as crime victims. Make the Road Nevada spokesman Alejandro Montes said that because of lack of information, out of a group of 70 workers who survived the October 1 shooting, less than 40 were able to submit a U visa application to the Las Vegas Metropolitan Police Department (LVMPD). This group is now requesting Sheriff Joe Lombardo’s support to sign their petitions so that their U visa cases move forward with USCIS. Duran said she submitted her documents to Metro during the second week of October. Duran is one of the survivors who is still in the process of recovery. She did not suffer physical injuries, but the memories of what she experienced still bring tears to her eyes. A native of El Salvador, Duran said she came to Las Vegas as an undocumented immigrant 15 years ago seeking for better opportunities for her three children, who live in her home country and whom she has not seen since. They were on her mind while, along with others, she tried to shield herself from the bullets on the night of Oct. 1. Her voice low and her hands wringing, Duran said in an interview that because she did not have a steady job, she was excited when a friend told her there was an opportunity to clean portable toilets during the three day-long festival. Duran said her faith gave her strength until she stopped hearing the gunfire. But when she came out of the storage room, she heard screaming and witnessed chaos. Duran said she also saw blood, many dead and wounded people and people jumping over fences. She collided with people who ran from one place to another looking for a way out. Then she managed to reach Las Vegas Boulevard. In the case of the group of workers, Jacinto Rivera, a Metro spokesman, said in a telephone interview that the agency understands this is something very real and that many say they have mental stress, but that the U visa has very clear rules and a person may or may not qualify according to those rules. Rivera pointed out the program requires that witnesses have information that can help an investigation move forward rather than simply being one of many people who saw it happen. According to Rivera, Metro reviews each case, but the mere fact of having been present at a business or in the area when the Oct. 1 massacre occurred does not mean a person qualifies for the U visa program. Duran hopes the authorities in charge of reviewing requests for the U visa on behalf of the group of immigrant workers who survived the October 1 shooting don’t view them as lawbreakers, but instead take into account their contributions to the United States and that the livelihood of their families is at stake. 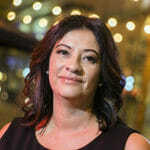 Mayra Salinas-Menjivar, a lawyer at the UNLV Immigration Clinic who is not directly involved in any of the workers’ cases, said in a telephone interview that the U visa was created so that victims will not be afraid to cooperate with the police and other agencies that investigate crimes. Salinas said there is a list of minor to serious crimes, such as domestic violence, for which victims may qualify for the U visa, and she added that, among other requirements, the crime must have occurred in this country. Salinas indicated that USCIS has the final say on whether the applicant meets the requirements to obtain the U visa.